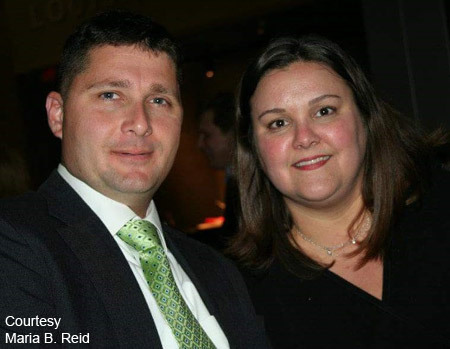 Note: A high resolution jpeg (300 dpi) of a manatee image, as well as a photo of Samantha Levine and Brandon Sultanik, and Maria and Chris Reid, are available upon request. For a perfect and personalized gift, Adopt-A-Manatee® this Valentine’s Day from Save the Manatee Club. The Club’s popular program features real, living manatees with known histories and is a great present for anyone special in your life. Membership adoptions at Save the Manatee Club start at $25 and feature a personalized adoption packet that includes an adoption certificate, photo and life history of a real Florida manatee, and a fact-filled membership handbook. Four print newsletters and six e-newsletters are also sent to gift recipients throughout the year. Adopt at the $35 level or above and an endearing handmade Rowley ornament is also included with the packet. Shipping is free within the United States. Click the following link to get more information and see the manatees up for adoption. 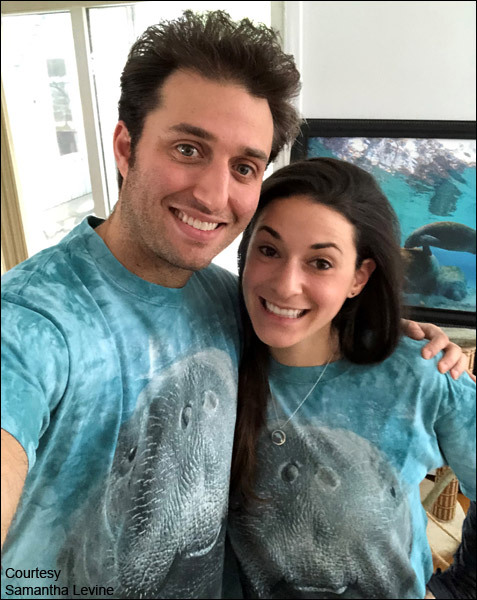 Order by February 4th for Valentine’s Day delivery in the U.S.
“Understanding human impact to the environment is vital in ensuring manatees live long and healthy lives,” said Patrick Rose, Save the Manatee Club’s Executive Director and Aquatic Biologist. “Red tide and harmful algal blooms remain an imminent threat to the Florida ecosystem Red tide acts as a neurotoxin in manatees and can give them seizures that may result in drowning. It can also cause respiratory distress in humans, while other forms of algae blooms can kill aquatic vegetation essential to manatee survival. In 2018, we saw a devastating rise in manatee mortality with over 800 deaths in total, more than 200 of which were attributed to red tide. With the support of the general public, Save the Manatee Club is empowered to improve the quality of the delicate ecosystem that humans and manatees both share.” Through the adoption program, many more people are learning about manatees, their aquatic habitats, and how they can help. 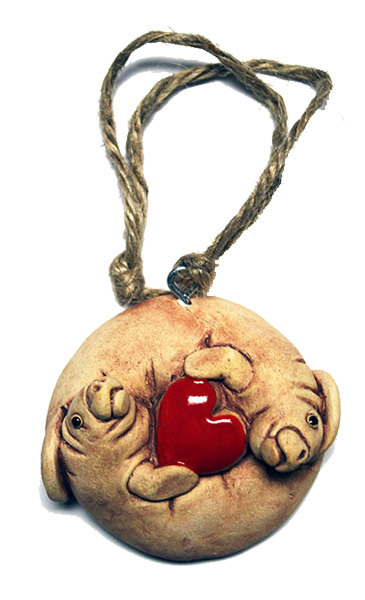 A handcrafted manatee heart ornament is included with adoptions of $35 or more. Save the Manatee Club was founded in 1981 by former Florida Governor and U.S. Senator Bob Graham and singer/songwriter Jimmy Buffett. The Club’s mission is to protect manatees and their habitat. For the past 37 years, Save the Manatee Club, an international 501(c)(3) nonprofit, has educated millions around the world about imperiled manatees and the threats to their long-term survival. For more information about adopting a real manatee as a Valentine’s Day gift, contact Save the Manatee Club at 500 N. Maitland Ave., Maitland, FL 32751, call 1-800-432-JOIN (5646), or visit the Adopt-A-Manatee page of the web site. Read about the Club’s activities and accomplishments, or follow the Club using Twitter, Facebook, Pinterest, and Instagram. Check out manatee videos on YouTube. Also, ask for the Club’s new print Valentine’s Day public service announcements, available in three sizes!